Happy Monday from my sweet giggling girl! Goodness she makes my heart full. I can’t believe the weekend is already over! This summer is flying. Our weekend was spent with many giggles, bunches of hugs, and lots of love. I love simple weekends, when the only thing on the agenda is to enjoy each other. Lately, simplicity has been on my heart. I feel like the Lord has really been working on me and I am so thankful for that. I feel like he has be nudging me to a really big opportunity, one that takes a big leap of faith. One that makes me put all of my trust in Him, knowing that He will carry me. 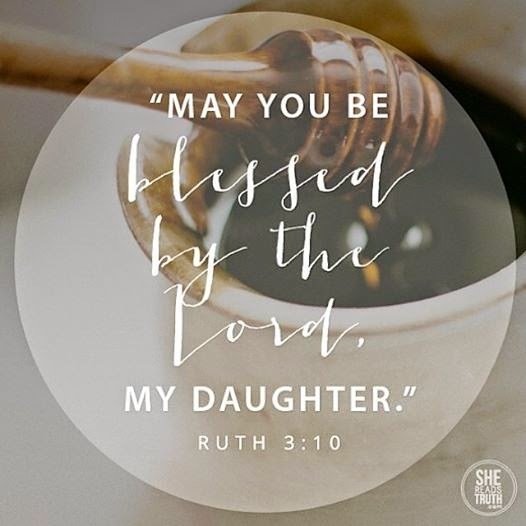 “Ruth has been in my heart, popping up everywhere I go over the past couple of days; my thoughts, dreams, devotional, etc. I recently downloaded the She Reads Truth app and it is wonderful! This image was on their instagram and I ran across it today-of all things, it was Ruth. Do you ever feel like you need to detox from yourself, getting rid of all of your selfish desires so you can focus on what He has prepared? I have been and it has been refreshing. I’m excited to see what he will reveal. In other news, we are still working on potty training. Is there such a thing as a toddler potty relapse? If so it was this weekend. Thank you, friend! She is so much fun! :) I will be praying for you as well, I’m ready to just let go of the extra garbage. That first picture is just pure joy! I love it! The first picture of Paisley put the biggest smile on my face~toooooo precious. The hair, the cheeks, the scrunched nose. She is a bundle of joy! :) Thank you, Chelsea!! !